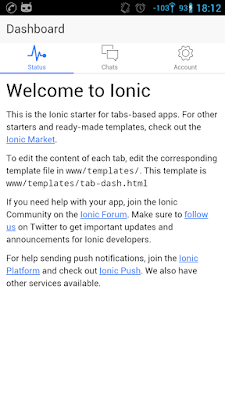 Look here a simple hello world using the Ionic platform with an Android device as target. The app generation, deploy and test in the browser, Android Virtual Device (AVD) and real phone. If you pay attention, there are a few differences between the browser and AVD version, like the placement of the tabs, so you need to keep this in mind, although is easier to develop and test in the browser, you will not (and cannot) see the final and real result, because the browser can't access low-level / hardware features like camera and so on. But at least is useful to do a quick test and development of the front-end. 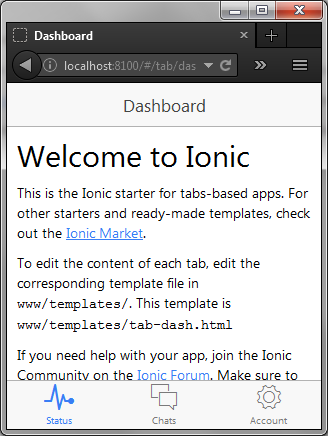 Now you might be wondering... why should I use the 'ionic serve' instead of open the "index.html" file directly ? 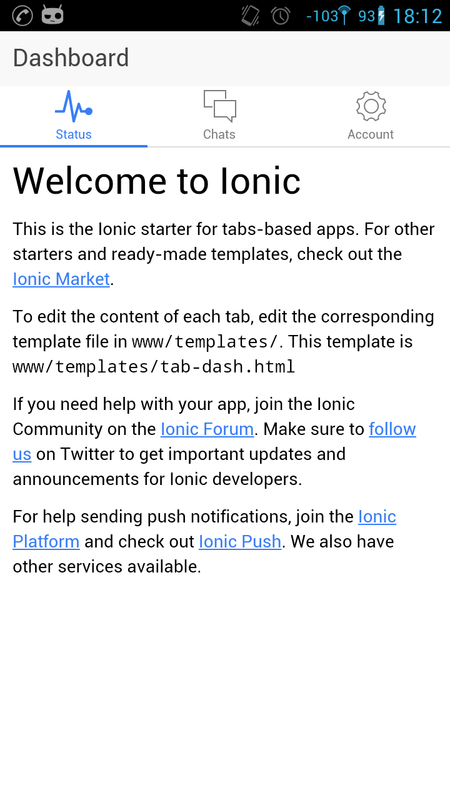 Well, with 'ionic serve' the code changes will reflect instantly in the browser, because Ionic will be looking for changes.